The Industrial Engineering Advisory Board is a body of eminent representatives of the industrial and business world and academics working abroad. Each member of advisory board valuable knowledge and extensive experience with the department. At least once a year, the Advisory Board shares the views and advice about education program, students and graduates with the head of the department. Alper Atamtürk is a Professor of Industrial Engineering and Operations Research at the University of California, Berkeley. He received his B.S. and M.S. degrees from Bilkent University in 1992 and 1994, and PhD. Degree from the Georgia Institute of Technology in 1998 with a major in Operations Research. 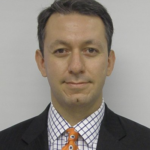 Dr. Atamtürk is a national security fellow of the US Department of Defense. He serves on the editorial boards of Discrete Optimization, Operations Research, Mathematical Programming Computation, Networks and Journal of Risk. His research interests are in optimization, integer programming, optimization under uncertainty with applications to energy, portfolio and network design. Murat Aksu is Allocation Strategy and Process Development Director at LC Waikiki. His area of responsibility covers allocation business analytics, demand forecasting, allocation strategy and process development, international and domestic central allocation and outlet management functions. Previously he has worked at LC Waikiki at International Retail Planning Manager, Organization and Performance Manager and CEO Assistant -Planning and Allocation capacities. Murat was Project Manager at Finning Canada (Caterpillar) and Total Productive Maintenance Engineer, R&D Project Manager and Corporate Performance Manager at ETİ Group of Companies before he joined LC Waikiki; He has graduated from İstanbul Atatürk Science High School in 1989. He has completed M.Sc. and B.Sc. in Industrial Engineering at Boğaziçi University and Bilkent University in 1994 and 1997, respectively. He also holds an MBA degree from University of Alberta, Canada. Graduated from Bilkent University, Department of Industrial Engineering in 2008 and obtained his MBA degree from INSEAD in 2012. Prior to his MBA, Huseyin has worked for Accenture as a management consultant and co-founded an agribusiness startup, called Doktar. Following his MBA, Huseyin has joined Bain and Company in 2013, where he still continues to work as a Project Manager. Erhan Bostan was born in Adana in 1969. After graduating from Bilkent University Industrial Engineering Department, he had worked for Raks Group at various departments such as production, quality assurance, product management and sales. Then, he had been the Managing Director of Vestel Foreign Trade, Turkey’s leader export company, from 2000 to 2006. With in this period, he had managed an export sales of more than 9 billion USD. In 2006, he joined to Turgut Aydın Holding as the MD of Aydın Örme. He was the founder MD of English Home, the leading home textile retailer of Turkey from 2008 to 2010. Since 2010, he has been the CEO of A101, food retailer with 6700 stores. 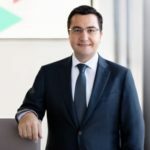 At the same time, since 2015, he has been assigned to be the president of the retail group in Turgut Aydın Holding, covering also English Home and EVE, drugstore retailer of the group. He is married and has 1 son and 1 daughter. He got his BS degree from Bilkent University Industrial Engineering Department in 1996 and has an MBA from Warwick Business School. 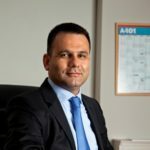 He has more than 20 years of experience in Wealth Management, Product Development and Marketing fields of national and international Retail Banks in Turkey. 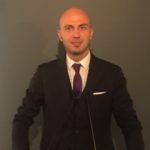 He has started his banking career in Interbank as a management trainee (MT) and following his jobs in Dogus Group and Akbank, Canturk managed Deposit and Investment Banking Departments of Deutsche Bank and Citibank in Turkey. Canturk joined Odeabank as a founder manager in 2012 and he has been working as the Wealth Management Director of the bank since then. Evren Canturk is married and is a father of one. 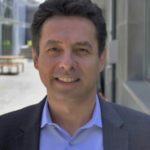 After graduating from Industrial Engineering Department at Bilkent University in 1995, Ramazan Demir obtained his PhD degree in Operations Research in 2000 from MIT, Sloan School of Management. Until 2005, he founded Operations & Innovation Divisions in creating successful asset-free marketplaces for private jet start-ups. Sentient Jet which is acquired by an investment fund is a good example. Afterwards, Dr. Demir worked as Director of Marketplace Design for Yahoo!’s global products including Search and Vertical businesses for 4 years. 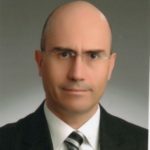 Dr. Demir joined Türk Telekom Group in 2009, since then he has been serving in variety of capacities; Chief Strategy and Business Development, Chief Regulation Officer, currently as the Chief Advisor on Digital Initiatives. Dr. Demir has been serving as a Board Member at European Telecommunications Association (ETNO) since 2014. He has been serving as board members in several NGOs spanning in communications, technology and media. He has functioned as Chief Science Advisor for a vibrant media and advertising company, Adconion Media (acquired by Amobee Inc.). He developed portfolio management models for one of the leading investment houses, Putnam Investments. Dr. Demir has 5 approved patents on internet technology, search engine and digital services. He is married and has 2 kids. 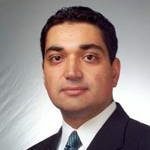 Koray has more than 15 years of experience at leading software and consulting companies, exposing him to a wide variety of solutions to solve the most complex business problems in global supply chain management. After participating directly in the rise of best-of-breed supply chain planning solutions that never fully brought all the necessary pieces together, Koray left i2 / JDA and started Solvoyo in 2005 to build a better supply chain planning platform. Koray earned his PhD in Operations Research from Georgia Tech and BS degree in Industrial Engineering from Bilkent University in Ankara, Turkey. He has published numerous articles in the supply chain optimization area and holds several patents in the area of supply chain optimization. Hakan Ergen has started his career at Procter & Gamble, after graduating from Bilkent University Industrial Engineering in 1997. He worked for 11 years within P&G in various roles including customer business development, category management and human resources. In 2009, he joined J&J as the Sales Director and after leading the transformation of the Go to Market Model and trade strategy he undertook the General Manager role for J&J Turkey Consumer in 2010. In his current role, he led the market entry and growth strategies of major brands such as Johnson’s Baby, Listerine, Le Petit Marseillais and Neutrogena. He has also focused on the opportunities of the OTC categories in Turkey and has given particular importance to categories such as Smoking Cessation, which has important influence on the community health. Hakan Ergen also lectured at the Bahçeşehir University on Innovation and Breakthrough Thinking and Creativity in Social Media. He is the Founding Vice President of the American Turkish Business Development Council in Turkey. 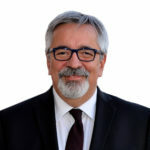 Born in 1957, Mehmet Göçmen, upon graduating Galatasaray High School and Middle East Technical University Industrial Engineering, has completed his Master’s degree in Syracuse University in U.S.A. in Industrial Engineering and Operational Research. Starting his career in 1983 in Çelik Halat ve Tel San. A.Ş. Göçmen served as the General Manager of Lafarge Ekmel Beton A.S. and as the Vice President for Business Development and Foreign Affairs in Lafarge Turkey between 1996-2002. He served as the General Manager at Akçansa starting from June 2003, he was appointed as the Head of Human Resources Group on August 1, 2008 and as Sabancı Holding Cement Group President on July 20, 2009. He was appointed as Sabancı Holding Energy Group President as of June 2014. Lastly, Mr. Göçmen was appointed as the Board Member and CEO of Sabancı Holding as of 30th March 2017. Tolga Izzet Gunel is working as Hayat Kimya Consumer Group Global Supply Chain Director since May 2015. Between 2011 and 2015, he was holding the Supply Chain Director position in Eczacıbaşı Building Products Group. Before Eczacıbaşı, he worked in P&G in different positions. 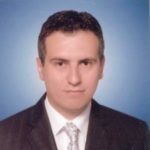 Having graduated from Bilkent University Industrial Engineering Department in 1996, Mr. Günel has started his career in P&G in Turkey Detergents Plant, taking materials planning, purchasing and production planning roles. In 1999, he moved to P&G Mechelen, Belgium. He has taken Distribution Center Planning, Internal Controls, Warehouse and Distribution manager roles in order. Afterwards, he led the SAP Supply Chain project for Mechelen Site and P&G European Contractor Operations. He moved back to P&G Turkey as Integrated Planning Group Manager for Health and Beauty Categories in 2004. 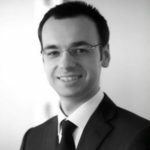 In 2006, he moved to CEEMEA Headquarters in Geneva as regional Human Resources Group Manager. In 2007, he has been appointed as the Supply Chain Leader for Global Development Markets until 2011. Born in 1974, he was graduated from Gazi Anadolu Lisesi in 1992. Barış Karakullukçu graduated from Bilkent University with a degree in Industrial Engineering in 1996. She started her career at as a SAP Consultant, and after a short time she became management consultant in PwC. During this period, she attended Certificate Program in Management Information Systems at Bogazici University and completed the Executive MBA Program in Koç University. In the next step of her career, she joined Accenture consulting firm in Munich. In 2005, Karakullukçu, came back to Accenture Turkey to build and enlarge the real sector of business. In this position; she managed various projects in many sectors, like retail, fast moving consumer goods, automotive and industrial equipment, and pharmaceuticals. By the age of 35, she became the Managing Partner in charge of the Real Sector in Accenture Turkey. Karakullukçu has been a management consultant for 16 years, and worked in Accenture for 11 years, her path crossed with Mudo during a consulting Project. Karakullukçu worked for Mudo as CEO and trying to achieve sustainable growth while preserving the values, while starting the transformation program between March 2012 and June 2016. After short break to achieve her social entrepreneur dreams and plans; she started Turkcell as Chief Data Officer and Advanced Analytics Director in the beginning of 2017. 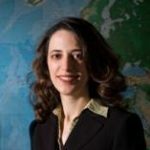 Pinar Keskinocak is the William W. George Chair and Professor in the School of Industrial and Systems Engineering and the co-founder and co-director of the Center for Health and Humanitarian Systems at Georgia Institute of Technology. She also serves as the College of Engineering ADVANCE Professor at Georgia Tech. Her research focuses on applications of operations research and management science with societal impact (particularly health and humanitarian applications), supply chain management, pricing and revenue management, and logistics/transportation. She has worked on projects in several industries including automotive, semiconductor, paper manufacturing, printing, healthcare, hotels, and airlines. Her research has been published in journals such as Operations Research, Management Science, Manufacturing & Service Operations Management, Production and Operations Management, IIE Transactions, Naval Research Logistics, and Interfaces. Cemal Berk Oğuzsoy was born in Ankara in 1970. He received his B.S., M.S and Ph.D. degrees in Industrial Engineering from the Middle East Technical University in 1992, 1995 and 2003 respectively. We worked as Research Assistant at the same department between 1992 and 1995. After completion of M.S program, he continued his career at Project Management Department of Roketsan Missiles Industries Inc. Then, he worked as Production Planning Chief Engineer between 1998 and 2001 and as Production Planning Manager between 2001 and 2011. Since 2011 he has been acting as the Planning, Strategy and IT Director. During his career, he took roles that are related to Master Production Planning and Scheduling, Materials Planning, Purchase Order Placing, Inventory Management, Production Budgeting, Capacity and Workforce Planning, Information Systems and Technology, Strategic Planning and Financial Optimization. His professional interest areas are production systems, ERP applications, Planning and Optimization, Information Systems and Technology and Financial Optimization. He has several international publications in the area of Financial Optimization. Hakan Polatoğlu was born in Ankara, 1962. Having graduated from TED Ankara High School in 1979, he studied Mechanical Engineering in Boğaziçi University where he graduated with BSME degree in 1983. He continued his education in University of Minnesota where he got his MSME degree in 1986; his PhD in IE from Bilkent University in 1990; PhD in Business from University of Wisconsin in 1995. He also attended Harvard Business School AMP program in 2010. 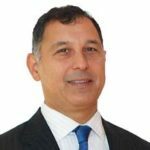 He started his professional career in Arcelik as a Process Engineer in 1986, later joined Aselsan as Mechanical Design Engineer in 1988. He also worked as an Assistant Professor in Bilkent University in 1992, and in Suffolk University between 1995-97. Later, he joined Protek Computer Systems in 1997 and worked as Vice General Manager until 1999. After that he started in Eti Gıda A.Ş. as Technology Coordinator in 2000 until 2006, and later became an Executive Committee Member where he acted, respectively, as the Technology and Product Development Group President until 2009, and Supply Chain Group President until 2011. Now he is working as the CEO of the company since 2011. He also is a member of the Management Board of Eti Makina A.Ş. since 2014. 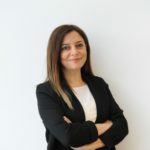 Sevgi has started her career in the pharmaceutical industry at Roche Pharmaceuticals in the Strategic Planning department following her graduation from Bilkent University. 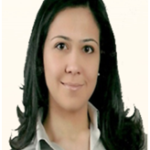 Sevgi then joined IMS Health and worked as a Key Account Manager, Senior Consultant and SFE director responsible for Turkey and MENA. Following IMS Health, she joined GlaxoSmithKline Turkey where she worked for 6 years as the Head of Strategy and Business Development as a member of executive board. Sevgi has joined Abdi Ibrahim in December 2016 as the Strategy and Business Development director responsible for local and international markets. Dilek Şen Güven was born in 1982 in Ankara. After graduating from Ankara Atatürk Anatolian High School, she received Bilkent University Industrial Engineering and Middle East Technical University MBA degrees. Following her undergraduate studies after 2 years of experience in private sector as “System Specialist”, she founded Prosis Consulting that gives service in the fields of Human Resources, Education, Productivity and Customer Relationship Management in 2005. She is currently serving as Managing Partner in Prosis Consulting. Supply Chain Planning Group Manager, Arçelik A.Ş. He was graduated from Middle East Technical University, Department of Industrial Engineering in 1990. 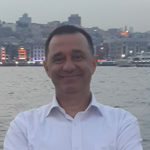 He had worked in Tepe Mobilya in 1991 as production planning engineer and TOFAŞ in 1992 – 1993 as supplier audit and development engineer. He joined Arçelik group in 1994. He had worked in technical and administrative roles in Purchasing, Production, Information Systems, Automation and Information Technologies, Production Planning, Production processes. 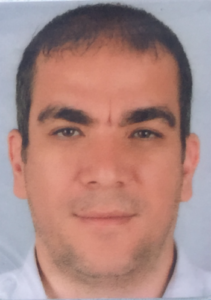 He had worked as production manager in Ankara Dishwasher Machine Plant between 2011 and 2106 He is working as Supply Chain Planning Group Manager as of 2017. After graduating from Bilkent University Industrial Engineering Department in 1991, Tütüncü completed his doctoral studies in Operations Research and Industrial Engineering at Cornell University in 1996. Between 1996-2005, he was a professor in the Department of Mathematical Sciences at Carnegie Mellon University and received several teaching and research awards. Between 2005-2016, he worked as a portfolio manager in the Quantitative Investment Strategies group at Goldman Sachs Asset Management and at AQR Capital Management. 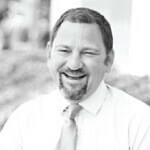 Since 2016, he has been the Chief Risk Officer at SECOR Asset Management. Director General for Productivity of the Turkish Ministry of Science, Industry and Technology. Since 2011, he has overseen government’s national policy formulation, promotion and monitoring activities in the productivity area. He is also the vice president of the European Association of National Productivity Centers and a board member of the World Confederation of Productivity Science, Turkish Informatics Association and Turkish Quality Association. Previously, he had served in the State Planning Organization, Turkish Prime Ministry, where he had work experience in the fields of telecommunications, IT, e-government, privatization, government support to industry, public investments, project management and strategic management. He was appointed to various posts such as advisor to the state minister for economy, advisor to the undersecretary and director of the Governance and Strategic Management Department. He taught e-business and systems analysis & design courses as a part-time university instructor. 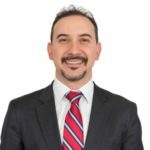 Mr. Yilmaz has earned several degrees, BS in industrial engineering and MS in economics from Bilkent University and MBA from the Owen Graduate School of Management, Vanderbilt University. 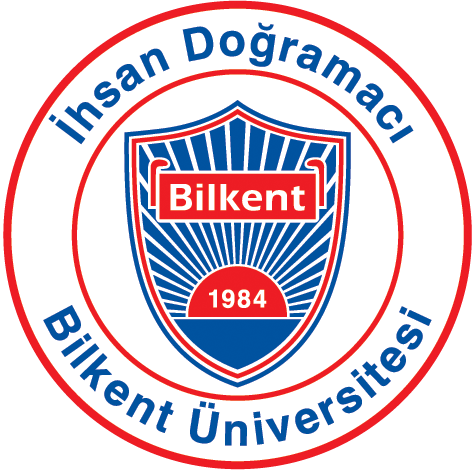 Graduated from Bilkent University Industrial Engineering Department in 1998. He started his career in Vestel as SAP implementation specialist. He was SAP senior consultant in his department which changed as Visecon first, then sold to T-systems. 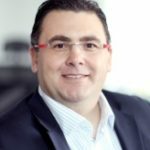 In 2003, he was one of the founder of Vektora Information Technologies, which will become one of the largest SAP implementation partner in the region about 200 consultants todays. He is now mentoring young investors.